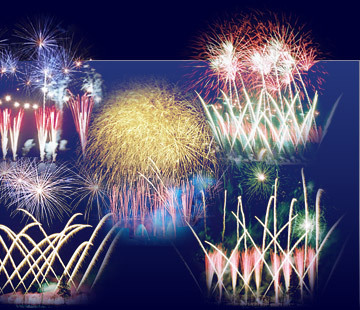 TAMAYA KITAHARA FIREWORKS Co., Ltd has gradually increased the number of displays. 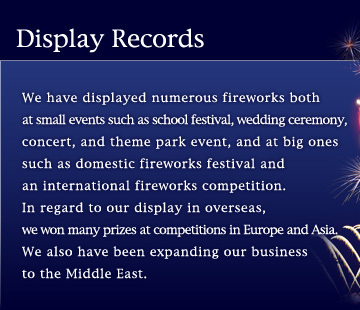 We produce more than 150 firework events around the world. The number of displays overseas has been increasing since 2000 and we are planning to have more events in China and the Middle East form 2006 as well.